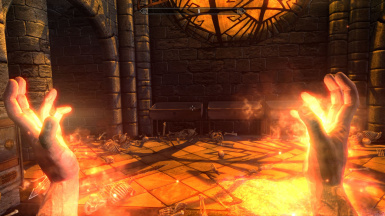 Break the boundaries of magicka! 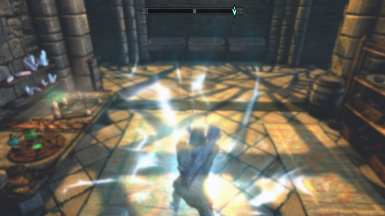 This Mod balances Master Spells by allowing to cast them with one hand... and offers a variant worthy of the devastating Morrowind's spells if you decide to use your two hands (with long induction and high Mana cost of course). • You have the right to modify and / or upload it to another site from the moment you credit me. • No commercial use of this Mod. Unleash the power of Master's spells! Break the boundaries of magicka! A modest esp file whose goal is to re-balance the Master level spells where Dual Cast is imposed... making them significantly less powerful than the equivalent Expert Spell casted with both hands. 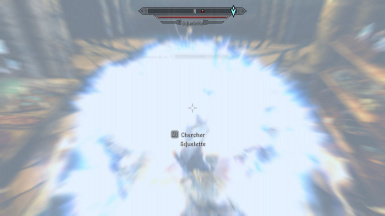 This Mod corrects this injustice by allowing to cast them with one hand... and therefore to have a variant worthy of the devastating Morrowind's spells if you decide to use your two hands to channel them! Contrariwise, induction will be long and Mana cost very high. It's up to you to use this power wisely! • Allows you to cast Master level spells of Illusion, Alteration, Destruction and Restoration schools with one or both hands. • Launched with one hand, their power remains the same as the Vanilla version, but with a reduced induction time of 2 seconds (from 3). • Decreases the cost of Master spells by 12% to make their Mana consumption not out of range. 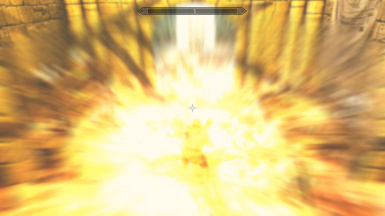 • Dragon Hide spell increases the Armor's value directly to the cap (+667) instead of splitting the damage to 5 while ignoring all Armor Rating. This is the same, but allows this spell not to be dispelled when another Flesh Spell is casted (Ebony Flesh, etc...). • The Master's spells of the Conjuration School, consisting of the invocation of daedras without time limit, offer no interest in Dual Cast. So, they haven't been modified. It's double edged. This allows you to extend the limits or the duration of your spells... Ideal to prepare before a fight. But be careful: don't miss the dual spell! The incantation is long and its cost in Mana slightly higher. Simply place the esp file of your choice in the data folder, then activate them via your Mod Manager. Delete them to uninstall the mod. Conflicts with any mod that changes the same values. 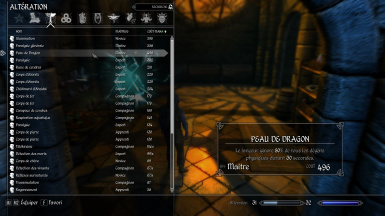 If same values are found in several Mods, that of the last loaded mod will be taken into account by the game. When some master spells are casted successfully with one hand, the player gets stuck with his hand raised. 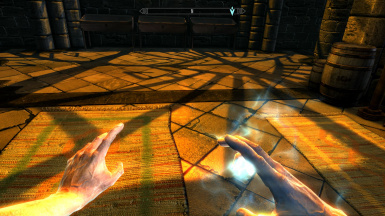 Equip something else or quickly push the mouse button corresponding to the spell to unlock the player's hand. A lore friendly overhaul for Auriel's Bow and his other relics. Allow stacking several God’s blessings and slightly reinforces half of them. 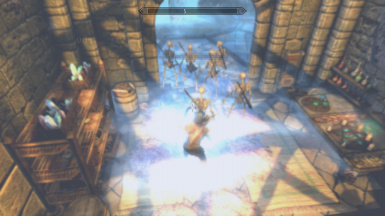 A wonderful stronghold among the oldest of Skyrim. The legend says that Miraak himself would have built it.